(posted at your driveway) before making the call. using the proper road names. Is your Fire Number Visible? if you can’t be found. Residents should check to see that their “fire” number is visible and securely mounted to the metal post. This number will guide the fire department, police, ambulance and even your friends to your house or camp. It is very important it is kept in a clearly visible position and not knocked over by the snow plow during the winter. If you need to replace your number or have a new build, please contact the Lappe Local Service Board Office at 768-4350, lappeservicesboard@tbaytel.net . Disclaimer: All written content, logos, images and video content displayed on this website are © of the LSB and in such may not be downloaded, reproduced, copied, projected, defaced, edited or used in anyway without the written permission of the LSB. 7:00 pm in the Gorham and Ware School unless otherwise stated. All residents are welcome and encouraged to attend any meeting. (807) 768-4350 to have your name added to the agenda. 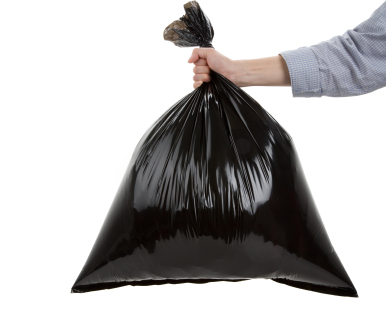 A dump pass will be mailed to you. All Lappe & Area residents are welcome to attend. The Provincial Land Tax is something we all pay in the unorganized areas. Some of us pay more if we are in the education tax areas and for the others it is a much smaller tax. This past year the province has been reviewing the tax at the behest of the organized areas who claim we do not pay our way. There have been meetings by the government with the LSBs and the LRBS as well as the organized municipalities. This could be a serious increase in our tax load. Many of us representing the people who live in the unorganized areas have made detailed representations showing how we contribute and suffer with a lack of service. The link below is a compendium of what has been said and what the government has presented as the existing situation. Citizen self reporting comes to the Ontario Provincial Police. (ORILLIA, ON) – The Ontario Provincial Police (OPP) has made another move to improve efficiency within one of the largest deployed police services in North America. This week the OPP unveils a new online reporting system that will enable the public to report specific occurrences from a computer. Citizen Self Reporting will offer the public another way to report select incidents which are not an emergency, by completing a report online at their convenience. The OPP is one of several Ontario police services who have adopted an Internet-based crime reporting system where people can report certain crimes such as lost property, theft from vehicles, and property damage, without an officer having to be dispatched. Only occurrences that do not involve an injury, a suspect or evidence are applicable. An officer will attend if requested by the complainant. It is expected that Citizen Self Reporting will be beneficial to both the public and the police. It will provide a convenient alternative to the citizens of Ontario, while allowing frontline officers to focus their efforts on other enforcement and crime prevention strategies within our communities. By providing people with another option for reporting crimes, the OPP is hopeful that more incidents will be reported, resulting in the collection of information to develop future crime prevention initiatives. To access the system, go to opp.ca. The OPP can be contacted toll free anytime at 1-888-310-1122. The Lappe and Area Local Services Board is now providing free library services with the Thunder Bay Public Libraries. You must present proof of residency in order to register for a card, such as your tax bill showing your payment to the LSB. If you don't have your tax bill, bring some identification to our office and a letter of residency will be printed for you. Wildfires are a natural part of Ontario's wildland ecosystems. Without wildfire, the landscape loses its diversity. Wildfires recycle nutrients, help plants reproduce and create a mosaic of vegetation that provides habitat for a variety of wildlife. By choosing to extend our lifestyles and communities further into forested areas, we become more exposed to the danger of wildfire. Living amongst where wildfires can occur puts your home at risk, but it is possible to live safely with this natural event. FireSmart is a nationally recognized fire prevention program which recommends communities and homeowners implement simple and cost effective recommendations to reduce the risk of wildfire’s effects to your home and neighbourhood. These changes to your property and community will also assist wildland firefighters to defend your home in event of a wildland fire. The following are a few FireSmart recommendations to help you prepare your home and survive a wildfire. Recommendation #1: Manage the vegetation around your home. Any kind of vegetation around your home or cottage is combustible and can aid a fire in spreading from the forest to your structures. Trees, shrubs, grass, your woodpile – even fallen leaves - act as fuel to a wildfire. A good fuel free space gives firefighters a better chance to save your home from an advancing fire. The first 10 metres of space around your home needs to be your first priority. It is the most critical area to consider for fire prevention. Remove any shrubs, trees, fallen trees or dead branches in that space and use fire resistant plants for landscaping. Deciduous trees have low flammability rates while evergreens are much more combustible. Keep your lawn well watered and the grass mowed short. This will help prevent a grass fire from spreading directly to the house. Firewood should be stacked at least 10 metres away from the house and covered with a non-flammable cover. Sparks from a wildfire can land in the woodpile and a fire there will spread quickly to the house. Remove all flammable material from within five metres of any fuel tanks on your property. If a wildfire spreads to the tank, it could explode and the area would be too dangerous for firefighters to stay. This priority zone extends from 10 to 30 metres. Prune trees to a height of one to two metres to inhibit the spread of fire up a tree. Reduce the number of evergreens and ensure that the tops of neighbouring trees do not touch. This zone extends from 30 to as far as 100 metres or more. If possible, reduce and manage potential fuel sources by removing trees, dead woody debris and thick shrubbery that might allow fire to climb up into the canopy and spread from tree top to tree top. The idea here is not to remove all combustible material but to thin the area so that fires will be of a low intensity and easier to extinguish. Adding a few FireSmart actions to your regular yard work routine will make a big impact to reduce your risk to wildfire. Changes within 10 to 100 metres of your home will have the biggest impact to reducing the threat of wildfire. Fire embers may seem small but are not to be underestimated— 50 % of the homes that burn from wildfires are started by sparks and embers. Regular maintenance and cleaning in the corners and crevices of your home and yard where needles and debris build up will leave nothing for embers to ignite. Remember to remove any windblown leaves under the deck as well as any flammable debris from balconies and patios. Recommendation #2: Upgrade your home’s building materials and construction techniques to lower its combustibility. When you are building or remodelling, consider using more fire-resistant materials to increase your home’s longevity. Roofing materials such as steel, asphalt, tile and ULC treated shanks are ignition-resistant, and steep steel roofs do not collect leaves or tree needles. Sparks from a wildfire landing on these types of roofs are less likely to start on fire. Similarly, siding materials such as stucco, metal, brick, concrete, and aluminum or steel offer superior ignition-resistance and log walls are thick enough to be fire resistant for a period of time. Large, single pane windows will not prevent radiant heat from a wildfire from igniting materials such as curtains inside the house. Double or triple glazed energy efficient glass provides insulation and reflects radiant heat. Also use non-flammable blinds inside your windows. The eaves around your roof should be boxed in and screen should cover attic vent openings to keep sparks out of the attic. Embers can collect in open eaves and set the house on fire. Similarly, the underside of wood decks attached to the house should be enclosed. Dry grass or sparks and embers under the deck can set the house on fire. Recommendation #3: Ensure your home is easily accessible to emergency workers. Should a wildfire approach your property, damage can be limited if firefighters have easy access to your home. If the access road to your home is not named or marked, post a sign with the name of the road in reflective letters where it easily can be seen in the dark. Similarly, post the house number in reflective numerals so it can be seen from the road. If a fire truck can’t get close enough to your house, firefighters may not be able to protect it. Keep your driveway as short and wide as possible to allow access for a fire truck. If your driveway includes a bridge, build a bridge that is wide and strong enough to hold emergency vehicles such as fire trucks. It’s also important to remove flammable vegetation at least five metres on each side of the driveway as flammable vegetation too close to the road will make it unsafe to travel during a wildfire. If you have any specific questions on the FireSmart prevention program – please contact Ian Monteith – Fire Operations Technician at the MNRF’s Thunder Bay Fire Management Headquarters at ian.monteith@ontario.ca. Every four years, the Municipal Property Assessment Corporation (MPAC) updates property assessments across Ontario. The 2016 Assessment Update introduces some of the most significant reforms to the Province’s property assessment system since 1998. These changes share a common goal – increased transparency, shared understanding of property assessments, and stability and predictability in the property tax base. With these laudable objectives in mind, a myriad of opportunities exist as we work cooperatively to implement improvements to Ontario’s property tax regime. To that end, I am pleased to share some important highlights with you. MPAC has put a great deal of effort into redesigning the 2016 Property Assessment Notice (PAN). The new design uses clear language and design principles, and integrates all of the statutory requirements surrounding property assessment information. The new PAN also includes details about how taxing authorities use MPAC’s values and other relevant information about Ontario’s assessment system. In addition to a new design, Property Assessment Notices for Residential properties will be delivered up to five months earlier than ever before. The redesigned Notice and early mailing dates will help property owners to better understand their assessment and resolve concerns before the final assessment rolls for 2017 taxation are delivered to taxing authorities in December. The 21-week Notice mailing schedule, which is staggered across the province, began on April 4 with Notices being delivered to residential properties. Property Assessment Notices for farm, managed forest, commercial and industrial properties will be mailed in the fall. The 2016 Notice mailing schedule and corresponding Request for Reconsideration deadlines are attached for your information. changes to the Request for Reconsideration (RfR) process. For the 2017 tax year, property owners will have 120 days from the Issue Date of their 2016 Property Assessment Notice to file a RfR. The historical March 31st RfR deadline does not apply for the 2017 tax year. The Issue Date and the unique RfR deadline will be included on every Property Assessment Notice. In response to each RfR, MPAC has up to 180 days to complete its review and respond to the property owner. developed an extensive outreach and engagement strategy to communicate the changes. correlation with Property Assessment Notice delivery. 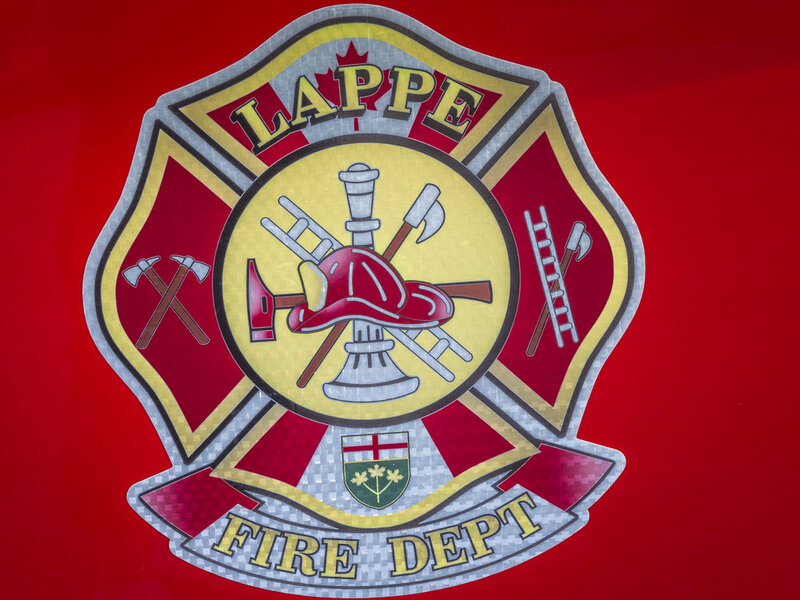 Hi everyone, I am the newly appointed Fire Chief of the Lappe Volunteer Fire Department - Darren Auld. The Lappe Fire Department is always continuing to advance our skills to serve the community in our best way. We are dedicated towards helping protect our homes and community and focus not only on active training, but, also fire prevention. If you do not burn safely or burn material without a permit when one is needed, you can be fined and held responsible for the cost of putting out the fire and for any damage incurred. Please visit www.ontario.ca/page/wildfire-protection for more information. Please select the small square in the bottom right hand corner for Full Page Viewer. Lappe offers many business services and local recreation. Visiting the area stop at the local Market, have your car fixed, enroll in a class, attend a church service, shop, have your computer fixed or take a drive to the many local lakes and enjoy the scenery. Thank you to our Website sponsors KC Automotive , Ranta Contracting, Dog Lake Firewood and Garstin Computers. Other local businesses in the Lappe Area Willow Springs Market, Grannies No7 Pizza, Lappe Store, Lappe Nordic Centre, Gorham and Ware School, Hazelwood Conservation Area, Dog Lake Resort just to name a few. Check for new upcoming classes and events on our events page or on our Facebook Page. KC Automotive & Recreation Ranta Contracting Inc. Automotive, Small Engine, Marine, Snow Machines, ATV'S, Tire repair, all lawn care equipment and much more. Stop by or visit our website for details. Computer services in Lappe and the surrounding area. Advertise with us for $50 - 100 dollars a year depending on your ad, have your business located on our business page. It will be updated every 6 months with new photos and information, we offer a link to your personal website or Facebook page. If you have specials or events happening we can feature it on our banner or link it to our Facebook page. Thank you to our local community businesses that have committed to the first year of advertising with us. Send an email to the Lappe Services board or smuller@tbaytel.net if interested in being a part of our community page or advertising with us. We may be able to HELP you: live in your home longer; repair your home with eligible repairs to make it safe while improving energy efficiency; install features that support modifications and renovations to increase accessibility. You may be eligible for a forgivable loan (forgiven at 10% per year) through the Ontario Renovates Program if: Your total household income is at or below: Single or couple with no dependents - $40,000 Household with one dependent - $55,000 Household with two dependents - $65,000 Household with 3 or more dependents - $78,200 The condition of your home is substandard or deficient and needs repair to bring it up to a reasonable standard. Your cash and assets are at or below $20,000 (savings account, bonds, not including locked in RRSP/RESP/RDSP). he house that needs repair is your sole and principal residence. You may also be eligible for a GRANT of up to $3,500 to make your home accessible for such items as ramps, chair lifts, handrails, height adjustments for counters, cues for doorbells/fire alarms. No repayment required if approved. Eligible repairs may include but are not limited to: Structural / Roof / Electrical / Plumbing / Heating / Fire Safety / Septic Systems / Well Water / Improved Accessibility / Safety-related features that help seniors and persons with disabilities remain in their home. Your eligibility will be fully assessed once you complete and submit an Application Form. For further information and details on how you can apply visit the TBDSSAB website at www.tbdssab.ca or call the office at (807) 766-2111 (Ext. 4091). The Ontario Renovates Program, a component of the Investment in Affordable Housing in Ontario, is made available to The District of Thunder Bay Social Services Administrative Board through funding from the federal and provincial governments. The Lappe and Area Local Area Services Board Office is located in the Gorham and Ware School.